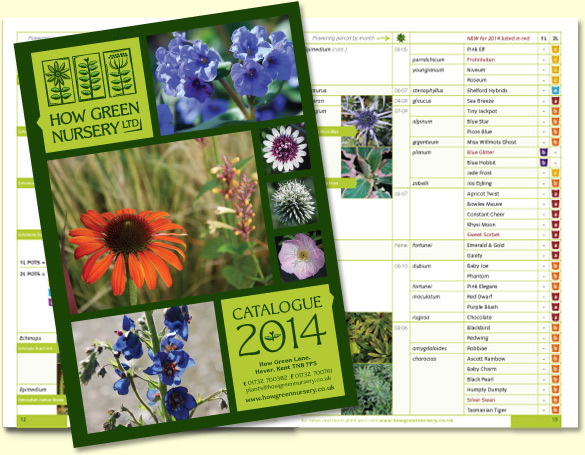 The new and improved catalogue for How Green Nursery is at the printers! This year, the catalogue design includes more of the nursery’s great plant images. Also new is the icon-based pricing system, which enables the reader to see at-a-glance the different price bands. The catalogue is usually mailed out and so finished weight is a concern. With this in mind, the format has been carefully thought-out to maximise space without increasing the number of pages. I hope the new catalogue brings in some great orders for How Green and wish them every success for 2014!